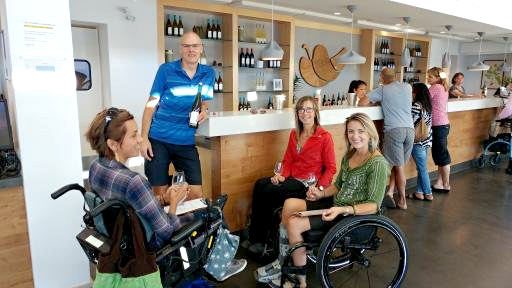 Cheers Okanagan Tours is privileged to offer 9 Accessible top-tier wine tours, plus the popular High Spirits Tour where guests enjoy Beer, Cider, Spirits & Wine. 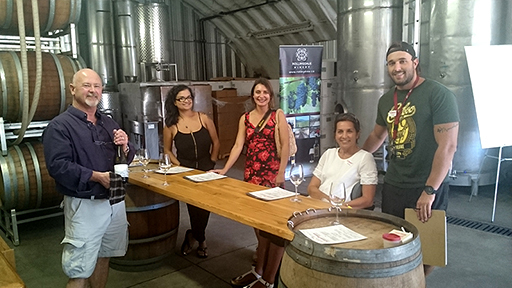 Come see for yourself why we’re famous for exceptionally fun, informative, memorable once-in-a-lifetime experiences led by personally engaging, knowledgeable, service aficionados who share colourful local history and interesting information about wine and the wine industry. Your enthusiasm is our obsession. We focus on the ultimate, unpretentious, down-to-earth, “didn’t know they existed”, hidden-gem, farmgate wineries everyone raves about. On our expertly tailored experiences you’ll take pleasure in being personally introduced to amazing people, enjoy authentic encounters, extra personal touches and carefully chosen little surprises. Intermingled with tastings at little-known first-rate family-owned farmgate wineries , you’ll delight in a unique, entertaining and very memorable first-hand learning event as we view and understand wine-making equipment, access vineyards, enjoy a fabulous al fresco picnic lunch of charcuterie (cured meats), artisanal cheeses, delicious spreads and of course – a glass of award-winning wine! To view our collection of wine and spirits tours click here. 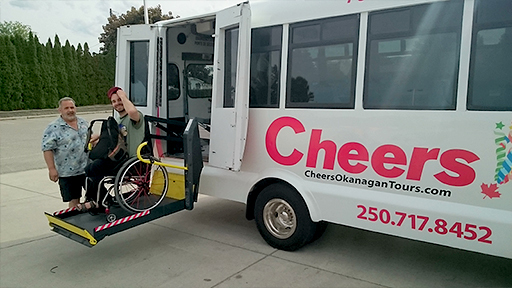 It is important to note that our Wheelchair Accessible Transportation services consists of providing a qualified driver, transportation and assistance on and off the bus. We do not have the capacity to provide personal care or assistance while on tours. Please ensure that each individual who requires personal assistance throughout the tour is accompanied by a qualified care aid or personal support person. 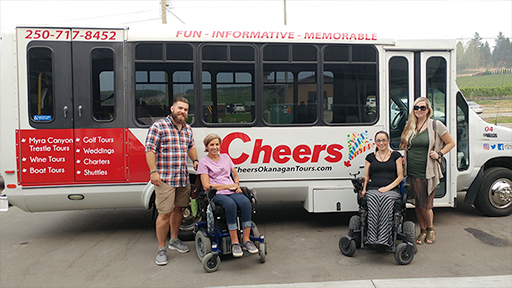 Our 16 and 20 passenger buses are licensed and insured to provide accessible charter transportation services within the Province of British Columbia. 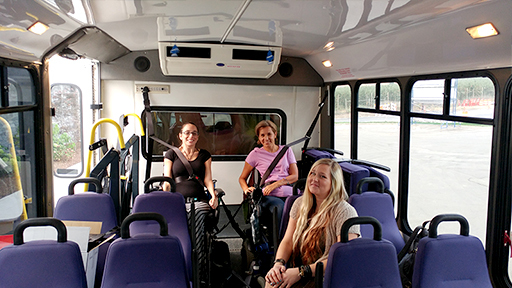 The comfortable air conditioned buses are equipped with a wheelchair lift and 2 sets of tie downs. The buses are inspected and maintained regularly in accordance with BC Motor Carrier regulations. Seating on the buses can be configured to accommodate varying passenger loads (up to 22) depending on the number of passengers in wheelchairs. Accessible Shuttle services are available from $130/hour (tax & gratuity included). Price based on season and subject to availability. Call today 250-717-8452 or if you prefer, email and provide pertinent details. We will reply in a timely manner. Cheers! 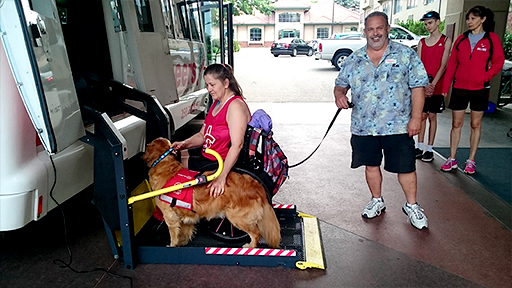 delivers peace-of-mind accessible transportation solutions. We get everyone where they need to be, when they need to be there.